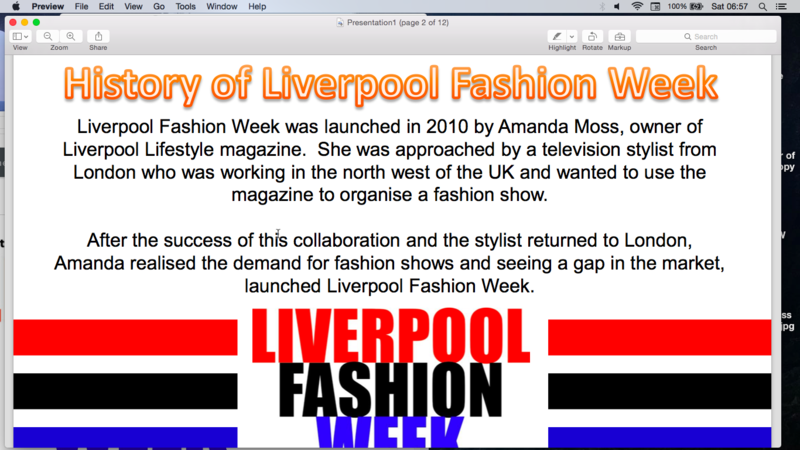 Liverpool Fashion Week was established in 2009. 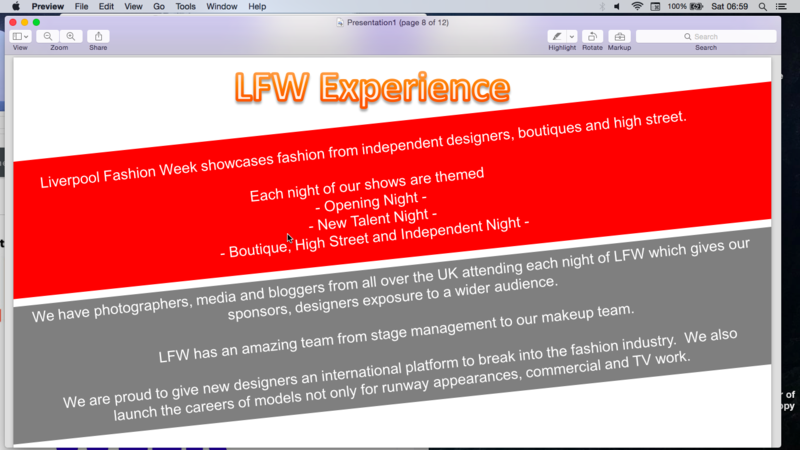 Since then the event has launched the careers of many fashion designers and models who are scouted at our event. Fashion designers who may be unsure of how to market themselves are given a platform to showcase their work. They are taught how to present a collection and given valuable marketing tools to help them grow their brand. 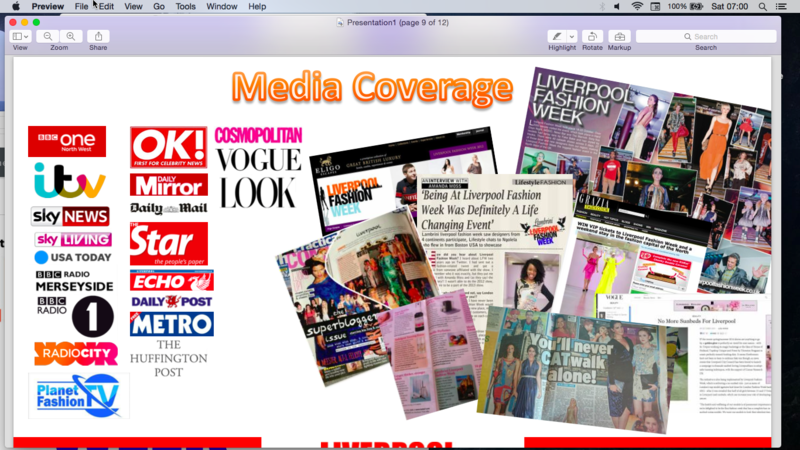 In addition we offer a PR service at additional cost for anyone who wishes to take their business to the next level. 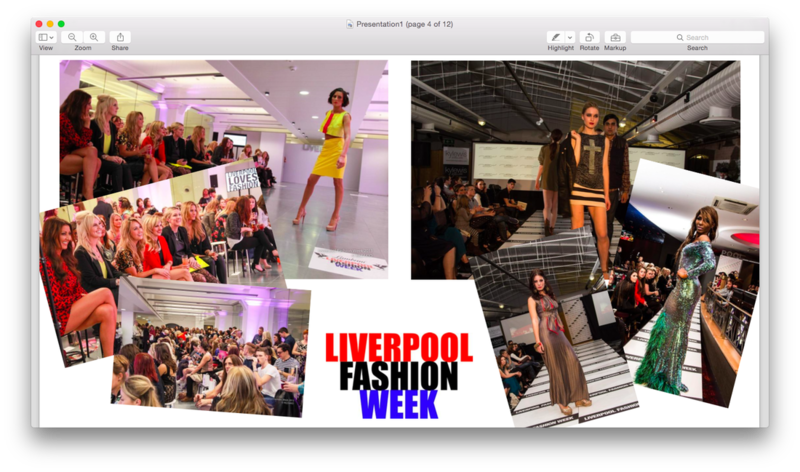 Liverpool Fashion Week is recognised by fashion industry experts from around the world, we are approached by agents in USA, Europe and Asia to work with them. We have partners in the manufacturing business so those looking to mass market produce their garments ( min of 100 pieces) we can assist and guide. For models taking part we tutor them in posture and choreography, how to look down the lens of a camera to get the best image, and encourage body confidence and self esteem. 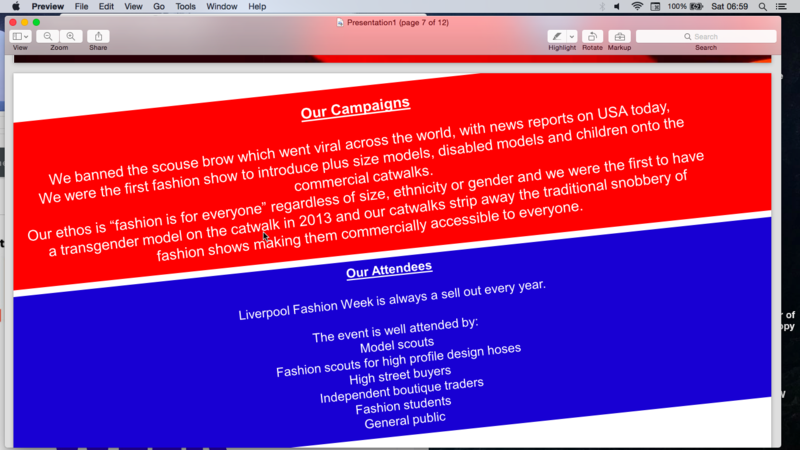 Designers who have taken part have participated in Liverpool Fashion Week have gone on to be directly invited to New York, Milan and Paris Fashion Week. All eyes are on us.